Apple’s iOS 11.4 software is now available to download, we previously saw some speed tests for the new OS and now we have some battery tests. 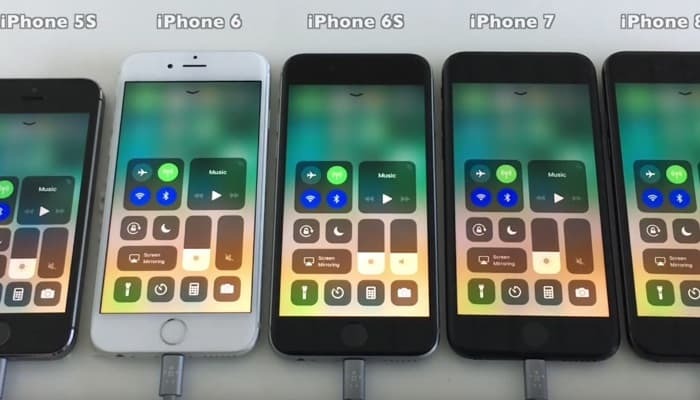 In the video below we get to see a number of battery tests run on the iPhone 5S, iPhone 6, iPhone 6S, iPhone 7 and iPhone 8. Will there be any battery life improvement with the new version of Apple’s iOS. As we can see from the video there were some battery life improvements in all five devices with the new iOS 11.4 software, these can be seen in the table below. Some of Apple’s newer devices like the iPhone 7 and iPhone 8 saw some significant improvements in battery life. As we can see from the table all of the above devices saw improved battery life, so it would be worth upgrading to the latest version of Apple’s iOS.